An Art Exhibition will be held in the school Library on Friday 12th June 2015, 5pm to 7pm. 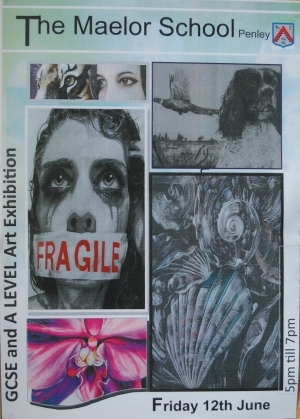 This will be an exhibition of work from those Maelor School pupils who have undertaken Art GCSE and A Level. All welcome to come along to view the many pieces of art work on show.